1-Bachelor of Science (B.Sc) in Laboratory Sciences in Kermanshah(1373) and General Microbiology, Imam Hossein University– Iran, 1378. Microbiology Department, Faculty of Medicine, Baqiyatallah University From 1381 up to now. 1-Amiri M, M.Sc student graduated in "Evaluation of bacterial Antibacterial of hospital disinfectants against common bacteria", 1385. 3-Rahim mansour khanshan, MS.c student, Cloning and Expression entC S.aureus in proper vectors", 1388. 3. Study of Molecular for Detection entD of S. aureus in Synovial Fluids in Patients with Rheumatoid Arthritis.1392. 4. Kardan, Relation of Bacteriological Water and Air Quality in Dentistry Center in University of Baqiyatallah Medical Sciences.1393. 1- Hosseini Doust R,Mohabati Mobarez A, Esmaeili Davoud, Detection of Legionella in Hospital Water Supply Using Mip Based Primer. Journal of Biological Science. 2008, 1-5. 2- Esmaeili D, Mohabati Mobarez A, Salmanian A.H, Zavaran A.H, Hosseini Doust R,Immune response of conserved 32 KD fragment from N-terminal of H.pylori cagA gene. Journal of pure & Applied Microbiology. 2010, 4:1-10. 3-Esmaeili D, Mohabati Mobarez A, Salmanian A.H, Zavaran A.H. Optimization of H.pylori Culture in ordre to preparation of favorable antigens. Journal of Bacteriology research 2009, 1(5):1-5. 4-Esmaeili D, Qorbanalizadegan M, Ranjbar R,Hajia M,The prevalence of Nosocomial Infections In Respiratory Tract Caused By Multi- Drug Resistant Bacteria In patients submitted in Baqyatollah Hospital in 1384. Journal of Artesh Medical Sciencs University, 1386:5:1185-1188. 5-Esmaeili D, Peerayeh S, Antibiotic Efflux pumps. Journal of Artesh Medical Sciencs University . 1383: 1:301-306. 7-Mohabati Mobarez A, Hosseini Doust R, Esmaeili D, Detection of Legionella in Hospital distribution and Ventilation systems. Journal of Infectious diseases and tropical .1386:36: 33-37. 9-Qorbanalizadegan M, Ranjbar R, Esmaeili D, Hajia M,The study prevalence rate of Hospital infection with Multidrug resistant in Baqiyatallah Hospital.Journal of Infectious diseases and tropical.1385: 35:69-72. 10- Qorbanalizadegan M, Ranjbar R, Izadi M,Esmaeili D,Ahmadi A,Goudarzi Z. The study prevalence rate Pseudomonas aeruginosa and Acinetobacter with Multidrug resistant in patients submitted in Baqiyatallah Hospital.Journal of Ilam Medical Science University.1386:1(15):14-18. 11-Qorbanalizadegan M, Ranjbar R,Joneidi N,Esfahani A, Esmaeili D,Goudarzi Z, The study of Nosocomial rate with MDR in patients ICU submitted in Baqiyatallah Hospital.1387:1(16):1-6. 12-Karimi A, Mehrabi A, Vatani H, Khobdel M,Esmaeili D,Survey of prevalence rate of Gal disease and effector agents in sepah in 1378-1379.Journal of Nezami Teb .1382: 5(3): 189-193. 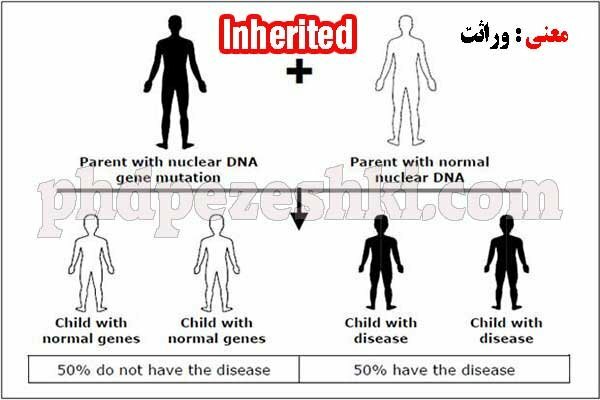 13- Najafi A, Karami A, Esmaeili D, Hajikhani B, Gene therapy with RNA interference system.Internal Medicine,1385:3-1-7. 16-Esmaeili D,Mobarez A, Hosseinidoust R, Bacterial contamination of water in selected covered swimming pools in Tehran. The Quarterly Journal of Biological Sciences, 2009; 1:39-44. 19-Ataee R,Tavana A,Esmaeili D,Serotyping Distribution of Invasive pneumococcal Disease (IPD) in Iranian patients, Journal of pure and Applied Microbiology,2012,6,155-160. 20-Amiri M Mehrabian S, Esmaeili D, Amiri M, et al .Study of Broad Spectrum Disinfectants Antibacterial Effect against Common Nosocomial Bacteria.Journal of Pure And Appluied Microbiology,2011, 5(2).1037-1040. 22-Hatami S, Esmaeili D ,Fallah J, Detection of cagA genome in sera of infected patient to H.pylori,Journal of Pure and Applied Microbiology 2012,6(3),1181-1184. 23- Mohtaram Nasrollahi, Bahador Zahedi, Abbas Bahador, Hossein Saghi, Soudeh kholdi, Neda jalavand, Davoud Esmaeili*. Distribution of blaOXA-23, IS Aba, Aminoglycosides resistant genes among burned & ICU patients in Tehran and Sari (Iran). Annals of Clinical Microbiology and Antimicrobials; 2014; 13(38). 24-Abbas Bahador, Abdollah Bazargani, Mohammad Taheri, Zahra Hashemizadeh, Azad Khaledi, Hossein Rostamim Davoud Esmaeili*.Clonal Lineage and Virulence Factors among Acinetobacter baumanii Isolated from South west of Iran. Journal of Pure and Applied Microbiology; 2013; 7(3):1809-1819. 25- Parastoo Chamanrokh, Mohammad Hassan Shahhosseiny, Mahnaz Mazaheri Asadi, Taher Nejadsattari, Davoud Esmaeili. A comparison of Loop- Mediated Isothermal Amplification (LAMP) with PCR and Rapid Urease Test (RUT) to Detect Helicobacter pylori in Biopsy Samples. Journal of Pure and Applied Microbiology; 2014:8(2); 1079-1086. 27-Asieh Abbasi, Abbas Bahador, Davoud Esmaeili*, Arash Mahbubi. The Study of Inhibitory Effects of Satureja khuzestanica against MDR Isolates of Pseudomonas aeruginosa. International Journal of Current Microbiology and Applied Sciences.2014;3(2);614-618. 28- Elaheh Safari, Mostafa Amiri, Abbas Bahador, Mojtaba Amiri, Davoud Esmaeili*. The Study of Antibacterial effects of Alcoholic extracts of Arum maculatum, Allium hirtifolium and Tecurium polium against Nosocomial Resistance Bacteria. International Journal of Current Microbiology and Applied Sciences.2014; 3(2); 601-605. 29- Hossein Saghi, Abbas Bahador, Davoud Esmaeili*. Study of Inhibition of Apha6 Gene in Acinetobacter baumanii by Satureja and Thyme Essence with RT-PCR Techniqie. The International Journal of Biotechnolgy.2014; 3(9); 115-122. 30- Neda Jalalvand, Abbas Bahador, Bahador Zahedi, Hossein Saghi, Davoud Esmaeili*. The study of Inhibitory Effects of Satureja khuzestanica Essence against MexA and MexR Efflux Genes pf Psudomonas aeuginosa by RT-PCR. The International Journal of Biotechnolgy.2015; 4(1); 1-8. 31-Davoud Esmaeili, Ashraf Mobarez, Ali Hatef Salmanian, Ahmad Zavarn. Protection against Helicobacter pylori Infection in BALB/c Mice by Oral or Intramuscular Administration of Multicomponent Vaccine of rCagA+LPS+CpG. British Microbiology Research Journal. 2014;4(5);570-582. 32-Mohammad Hossein Ataee, Gholam Hossein Alishiri, Davoud Esmaeili, Akram Aiei, Study of Three Primers PCR to Detect SEC Gene in Synovial Fluid of Rheumatoid Arthritis Patients and Comparison with ELISA. Journal of Pure and Applied Microbiology. 2014; 8. 33.Abbas Bahador, Hossein Saghi, Davoud Esmaeili*, Bahador Zahedi, Ramezan Ali Ataee Kachoei, Ferdos Amiri Dastjerdi. The Study of Antibacterial effects of Thyme Essence against MDR strains of Acinetobacter baumanii Selected Hospital in Tehran. 2014; 8(4); 3053-3056. 34. Abbas Bahador, Davoud Esmaeili*, Azad Khaledi, Roghayeh Ghorbanzadeh.An in Vitro Assessment of the Antibacterial Properties of Nanosilver Iranian MTA against Porphyromonas gingivalis. Journal of Chemical and Pharmacolgycal Research. 2013; 5(10); 65-71. 35-Hossein Masoumbeigi, Hossein Kaedanyamchi, Mojtaba Sepandim, Davoud Esmaeili*. Relation of Bacteriological Water and Air Quality in Density Center. Journal of Pure and Applied Microbiology.2014; 8(2). 36-Saeideh Hatami, Davoud Esmaeili*, Jalil Fallah, Jafar Rezaee. The Prescence of cagA Genome in Blood of Infected Patients with Helicobacter pylori as New Marker. Journal of Bacteriology Research. 2013;5(4). 37-Davoud Esmaeili, Ashraf Mohabati Mobarez, Ali Hatef Salmanian, Ahman Zavaran Hosseini. Bioactivity and Immunological evaluation of LPS from different serotypes of Helicobacter pylori. Iranian Journal of Microbiology. 2013;5(2). 38-Mohtaram Nasrollahi, Bahador Zahedi, Neda Jalalvand, Hossein Saghi, Davoud Esmaeili*. The Study of Prevalence and Expression of Efflux Pump Genes in Acinetobacter baumanii Strains Resistant to Aminoglycosides in Sari (Iran). Journal of Pure and Applied Microbiology. 2014; 8(5). 39-Abbas Bahador, Noormohammad Mansoori, Davoud Esmaeili*, Reza Amini sabri, Brucellosis : Prevalence and Retrospective evaluation of risk factors in Western Cities of Tehran Province, Iran. Journal of Bacteriology Research.2012; 4(3); 33-37. 42-Hossein Saghi, Abbas Bahador, Azad Khaledi, Ramezanali Ataee, Ferdos AmiriDastjerdi, Davoud Esmaeili. Antibacterial Effects of Origatum vulgare Essence against Multidrug Resistance A. baumanii isolated from Hospital of Iran. Avicenna Clin Microb Infectscent Med. 2015;1. 43-Khadije Moridi, Reza Hosseinidoust, Zahra Goudarzi, Hadi Lashini, Davoud Esmaeili, Esmaeil Saberfar. Investigation of Helicobacter pylori in Laryngeal Papillomatosis. Int J enteric pathogen. Int J enteric pathogen. 2015; 3(1). 44-Vahid Yavarpour, Mehdi Zarabi, Davoud Esmaeili*, Javad Mohamadnejad.. In vitro Evaluation of Antibacterial Efficacy of Natural Honeys in Comparison with Antibiotics on Pseudomonas aeruginosa. Iranian Journal of Medical Microbiology.Iran J Med Microbiol. 2014;8(1);30-34. 45-Somayeh Allahkarami1, Mohammad hassan Shahhosseiny2, Nasim Hayati Roodbari,Davood Esmaili.. Comparison PCR and Culture Methods for Detect Coccoid Forms of Helicobacter pylori. Govaresh.2013;19(3);175-181. 46-Ataee R.A,Mehrabi Tavana A.,Esmaieli D. Introducing an Applicable Method in Teaching the Seminar Course in Master of Science Curriculum. Bimonthly of Education Strategies in Medical Sciences 2014; 7(1): 69-74. 47-Davoud Esmaeili*, Saeideh Hatami, Abbas Bahador 3 Risk of cagA DNA in H. Pylori Patients.2014; Int J Entric Pathog. 2014 January; 1(2): 72-5. 48-Esmaeili.D*,Mobarez, M.A; , SalmanianH, A, Zavaran.A; phD4, Mahdavi.M; Synergistic effect of rCagA and LPS of H. pylori O2 serotype in induction of proper immune response against H. pylori. JAUMS.2010; 8(1); 1-5. 49-Omid Teymournejad, Morteza Sattari, Ashraf Mohabati Mobarez,Davood Esmaeili. Antibacterial effects of persica Mouth wash on Helicobacter pylori Growth.Journal of Global Infectious Diseases.2010;2(2);197-198. 50-Ali Mirmohamadlu, Ghader Ghanizade, Davoud Esmaeili, Mojtaba Sepandi, Peyman Avakh,Contamination of Consumption Waters three Military Hospitals to L. pneumophila in 1392,Kermanshah Pazhoheshi Mahneme,1393,18(7). 51. Reza Golmohamadi, Ramezan Ali Ataee, Gholam Hossein Alishiri,Reza Mirnzhad, Ali Najafi, Mehdi Tat, Davoud Esmaeili, Neymatolah Jonaydi.Molecular Detection of M.pneumoniae in Synovial fluids of patients with Reumatoid Arthritis.Journal of Iran Medical Sciences,1393;8(1). 7- The study of Disinfectants with broad spectrum to hospital common bacteria. 32- Isolation and detection of H.pylori from biopsy specimens with culture technique and seum specimens with PCR,2012, 4th congress of Clinic and Laboratory,Iran. 34. 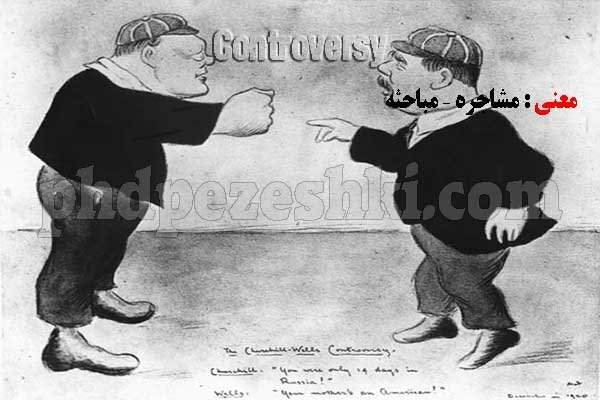 شناسایی حضور ژن cagA هلیکوباکتر پیلوری در پلاک های دهانی و لوزه ، چهارمین کنگره آزمایشگاه و بالین، داود اسماعیلی، اشرف محبتی مبارز ، سعیده حاتمی. 35.The Study of Allium hirtifolium (Persian shallot) Alcoholic Extracts against Inhibition of Gene Expression of Exotoxin A of Pseudomonas aeruginosa with RT-PCR Technique. 36.The Increase in Triglyceride and more Cholestrol rate in person of infected with the H. pylori. Comparison PCR Method and Rapid Urease diagnostic test to detect Helicobacter pylori in the gastric biopsy tissue samples. Molecular assay on Staphylococcal entC gene in Synovial Fluid Patients with Rheumatoide Arthritis. Ramezan Ali Ataee, Gholam Hossein Alishiri,Davoud Esmaeili, Akram Aidei, Ahmad Salimzadeh, Mohammad Hosein Ataee. Hossein Saghi , Davoud Esmaeili, Abbas Bahador, Azad Khaledi, Ferdos Amiri Dastjerdi. 48. 15th International Iranian Congress of Microbiology 2014. PPLO Biphasic Media Preparation for Isolation of Mycoplasma pneumonia. Golmohamadi R. Ataee RA, Alishiri Gh, Mirnejad R, Esmaeili D.
Davoud Esmaeili, Saeeideh Hatami, Jalil Fallah. 50.The First Iranian International Congress of Medical Bacteriology. Anti- Helicobacter pylori activities of shoya powder and essential oils of Thymus vulgaris and Eucalyptus globules. Esmaeili D, Tohidpour A, Mohabati Mobarez A, Fallah Mehrabadi J. 51.International Congress of Malaysian Society for Microbiology, 2009. Design, Cloning and Expression of Outer Inflammatory Protein A (OipA) Fragment of H. Pylori. Khorasani Maryam, Mohabati Mobarez Ashraf, Esmaeili Davoud, Fallah Jalil. 54.14th International Iranian Congress of Microbiology. Evaluation of Minimum Inhibitory Concentration (MIC) Plant Essence Zataria multiflora against Acinetobacter baumanii. Hossein Saghi, Davoud Esmaeili, Abbas Bahador, Ramezan Ali Ataee. 55. 5th Student & Research Congress 2014. Antibacterial activity of Brassica rapavar ointment against Staphylococcus aureus and burn healing in BALB/c mice. Detection of M.hominis in the synovial fluid of patients with rheumatoid arthritis.Golmohamadi R, Ataee RA, Alishiri Gh, Mirnejad R, Najafi A, Esmaeili D.
بررسی تاثیر اسانس گیاه Satureja khuzestanica بر روی بیان ژن مقاومت آنتی بیوتیکی aphA6 ایزوله های بالینی آسینتو باکتر بومانی بیمارستان های منتخب تهران به روش Real Time PCR . Evaluation of three pair primers to detect Staphylococcal enterotoxin C genes. Ramezan Ali Ataee, Davoud Esmaeili, Ali Mehrabi Tavana. 61.The process of Teaching and Presentation Microbiological M.Sc. Seminar Course. National Institute of Genetic Engineering and Biotechnology (NIGEB).